Former "Defense Minister" of the self-proclaimed Donetsk People's Republic (DPR) Igor Girkin, nom de guerre Strelkov, has announced the creation of an All-Russia national movement whose task is to unify Ukraine, Belarus and Russia, according to Russia's TV Channel Dozhd. The declared goals of the movement are to "revive Russia as a Russian national state, which will serve the interests of the Russian nation," Dozhd wrote with reference to the Novorossiya website. The declaration states that "the land where Russian people live, where the blood of Russian people was shed have the right to be returned to Russia." Members of the new movement stand in favor of "the unification of the Russian Federation, Ukraine, Belarus, and other Russian lands into a single, all-Russian state and the transformation of the entire territory of the former USSR to an unconditional Russian zone of influence." Other proposals of members of the new movement include the introduction of a score system for migrants, the abolition of "all the norms that violate human rights and freedoms," the release of political prisoners, "the return of the freedom of political life to citizens" and the abolition of Internet control laws. "We refuse the current political regime our support," the members of the movement said in their declaration. As media reported earlier, Girkin announced in October 2015 he could create a party in Russia that will be the opposition to Russian President Vladimir Putin. 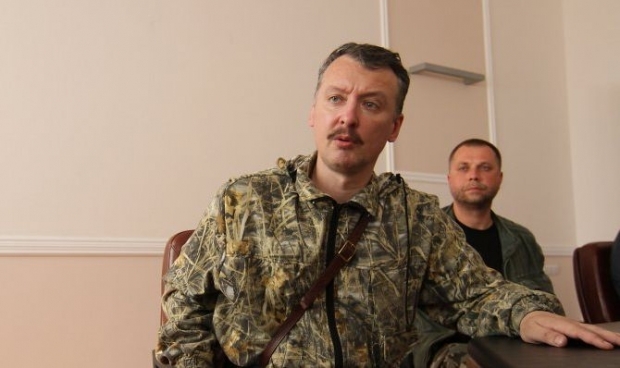 Girkin is an avid historical battle re-enactor from Moscow and a former colonel in Russia's federal security service who led Russian-backed separatists in eastern Ukraine in 2014-2015. He once fought as a volunteer in Bosnia and in Transdniestria, a Russian-backed breakaway republic in Moldova. He was also seen advising separatist leaders in Crimea before the peninsula was annexed by Russia in March 2014.